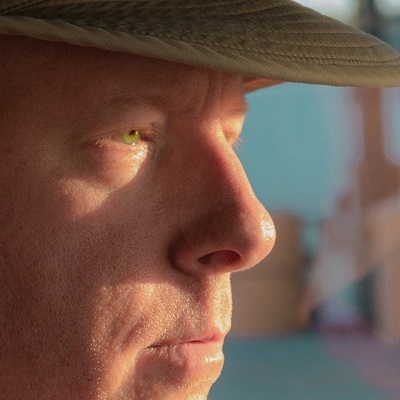 Alan Wood is a passionate screenwriter and filmmaker. Dan & Frankie Save the World is his ninth screenplay. Outside of his work in film, Alan is a small business owner and musician. Well, he's a drummer, so...kind of a musician. A couple of young, down-and-out stoners living in Las Vegas join forces with a covert alien slayer and her team to save the President of the United States from being possessed by an alien slug. A tight, charming buddy comedy that hits all the right beats for an entertaining, hilarious thrill ride. Body-snatching slug aliens, action movie stars, the President of the United States - you can't argue that the story isn't ambitious or that the stakes aren't high enough. With fun, lovable characters, effective action writing, and a ton of real laugh-out-loud moments, this script is a joy to read and a clear successor to the successful stoner action films that we all know and love. Brain Dump - Feature - Comedy - In the near future, a young robotics engineer must find a way to shut down his newly installed neural phone implant after it goes haywire and posts every unfiltered thought he has to social media. Feature film with a target audience of men under 25. Small cast, minimal locations. Could be shot for under five million.